I have been relatively tight lipped on the swathe of Xeon focused motherboards recently making headlines, for good reason. Back at the launch of Intel’s latest generation of processors in August, codenamed Skylake, we had heard that this generation would deviate on the norm when splitting consumer and professional parts. Previously it was possible to run a professional Intel CPU, a Xeon, in a consumer motherboard that used a mainstream chipset – this allowed users to pick and choose if they wanted that Xeon (due to pricing or other factors) but also with features only found on consumer motherboards. With Skylake, Intel said this would change. While consumer processors would work in both consumer and professional motherboards, the professional Xeon processor line would be locked to professional-grade motherboards only. 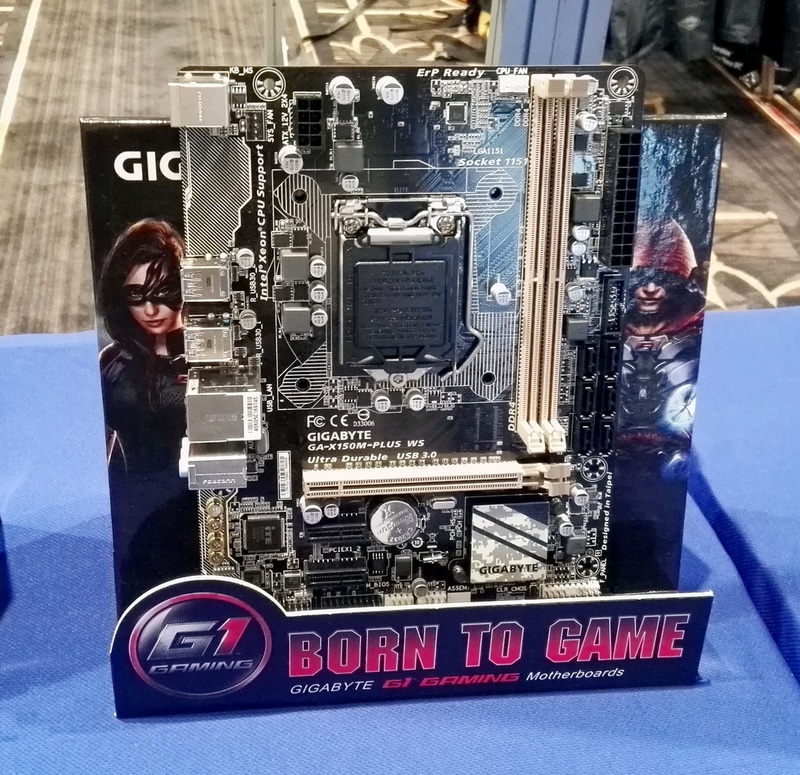 This change has meant that the major motherboard manufacturers are scrambling to launch a set of professional grade motherboards, and specifically the C232 and C236 chipsets which mirror the H150 and Z170 chipsets for consumer. This has been further compounded with the revelation regarding non-K series overclocking, and whether this should be a feature for Xeon CPUs. These C232/C236 motherboards will be unlike the ones that have come before in this segment, and feature more consumer oriented features for audio, storage, networking, USB 3.1, power delivery and even overclocking in the BIOS where possible. 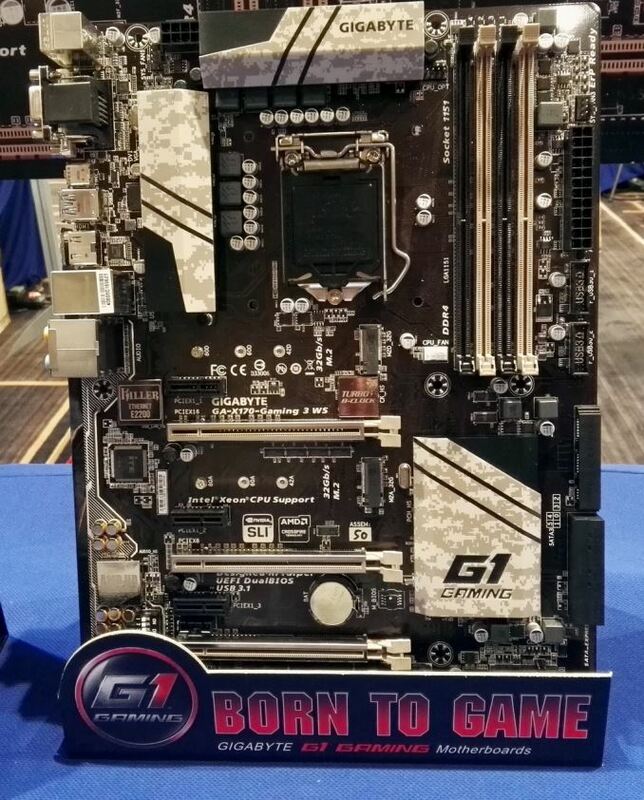 The GIGABYTE line on display at CES is essentially this. 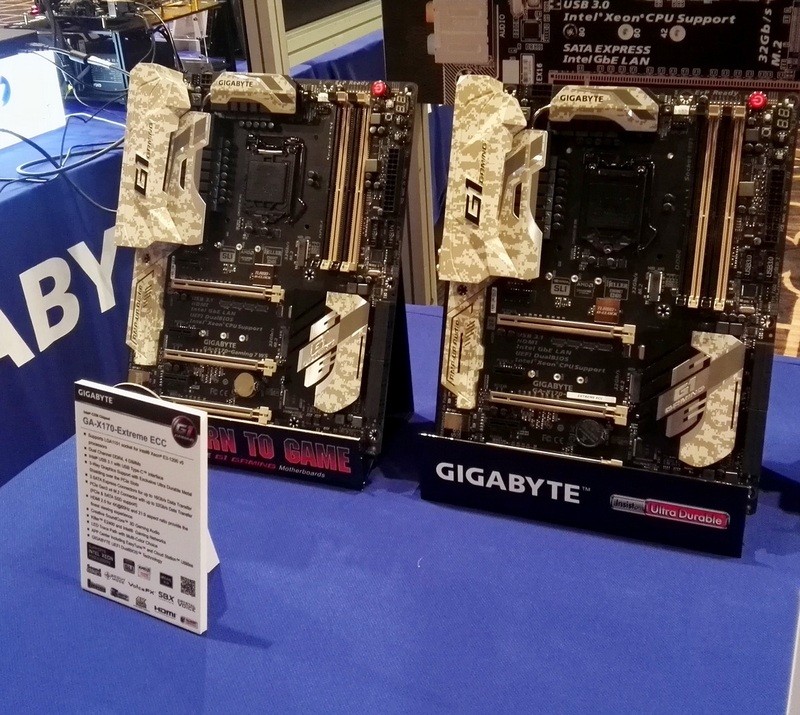 There were at least six models on display, and were easily spotted by the naming scheme (using X170, or X for Xeon) and the camouflage aesthetic with consumer features such as the PCIe guards. 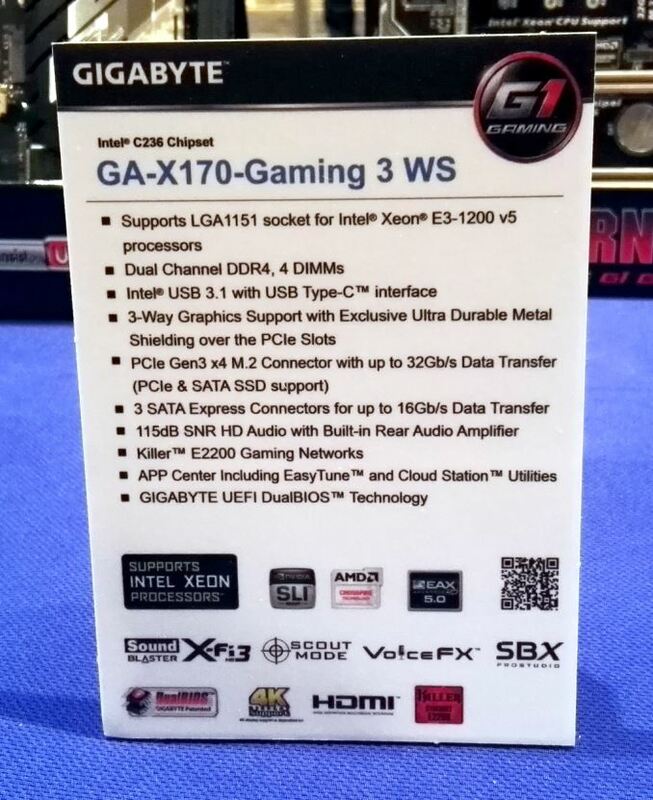 Here the X170-Gaming 3 WS (that’s WS for Workstation) is built on the C236 chipset, with both SLI and CrossFire certification similar to a Z170 motherboard. 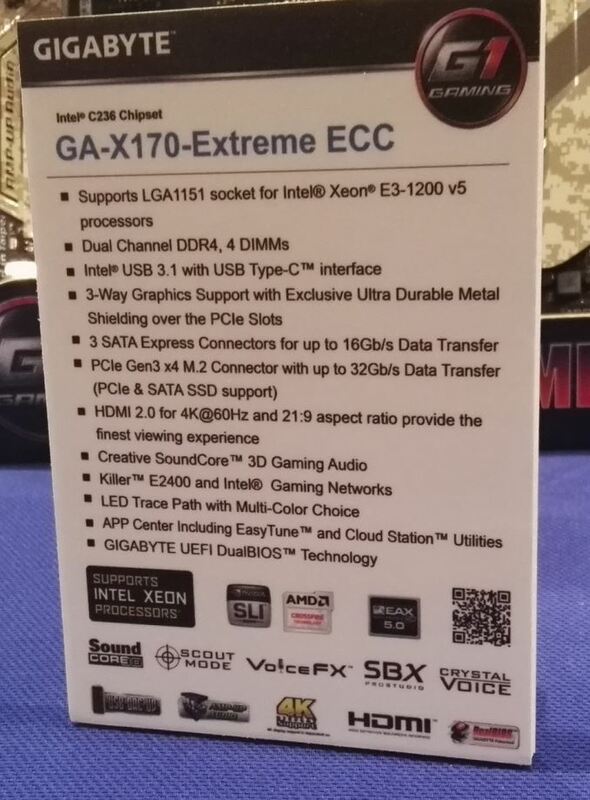 If you add in the Killer E2200 chip, upgraded audio, USB 3.1 support via USB Type-C and PCIe Gen3 x4 M.2 slots, this is essentially a regular line gaming motherboard with just the chipset changed. Interestingly enough, not many were advertised directly with ECC support when paired with Xeons. 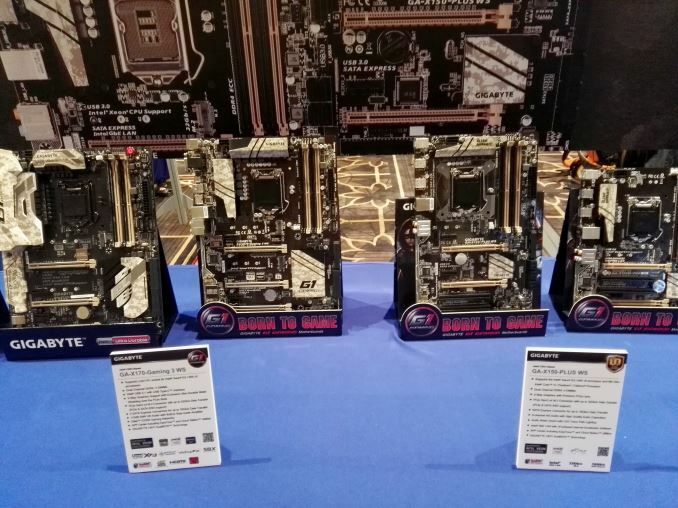 On the far left is the X170-Gaming 7 WS and one next to it is the X170-Extreme ECC, which both look like they should be the high end models with plenty of upgraded power phases, upgraded heatsinks and the other features we see on consumer motherboards. The ECC model here gives both USB 3.1-C via Intel’s Alpine Ridge controller, which could indicate Thunderbolt 3 validation in future (wait for an announcement), as well as HDMI 2.0 support via the MDCP LSPCON that other GIGABYTE models have. Combine it with the E2400 and Creative solution, and it again seems to sync up with the consumer motherboard line. 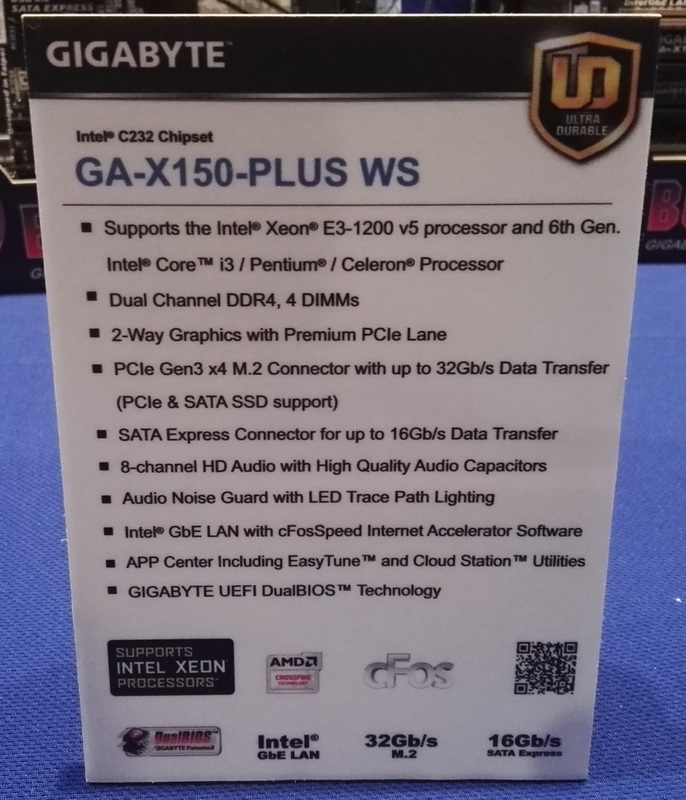 Anything on the X150 line from GIGABYTE is using the C232 chipset (which is practically the H150), and is meant to be on the lower price part of the spectrum. Alongside this X150-PLUS WS was a micro-ATX variant of the same motherboard, and the X150M-PRO WS as well. From my perspective, the demand for Xeons from casual end-users is difficult to grasp. I have known for a while that there are a core bunch of end users that will go out and buy the E3 1230 line of Xeons because they can get good pricing over a similar Core based part, or there are users that will swear that the Xeons are better binned, offering lower power consumption. But determining just how big that market it is difficult, even when thinking about end-users and system integrators and if Intel/retailers even decide to sell Xeons to end users as OEM labelled parts. You can still use a Core processor in a C232/C236 motherboard anyway, so these motherboards are more aimed at Xeon prosumers and SMB environments that are not big companies with contracts in play. "Previously it was possible to run a professional Intel CPU, a Xeon, in a consumer motherboard that used a mainstream chipset – this allowed users to pick and choose if they wanted that Xeon (due to pricing or other factors) but also with features only found on consumer motherboard"
Are you referring to X99? If so it doesn't really change the landscape that much, as the only board that could run both mainstream (if -EP chips can be considered mainstream) and Xeons are X99 boards, to my knowledge. Does this mean that in the future there will be 3 types of mobos - mainstream, X99 for Skylake-E (supposed Q3 2016) and server C232/6 boards? No, he was talking to previous gen Xeon E3 series -- they have all used the same socket as the mainstream i7 line (115x sockets) and you used to be able to put those E3's into regular H, Z, Q, B, and previously P series chipsets. Thanks extide for clarifying. I was originally perplexed because X99 is also a separate board for mainstream chipsets (-E only chips), which share the same 2011-3 socket with Xeons, and could also use ECC memory. So to me that's not really a major difference compared to what we have today - mainstream chips get their own board (Z,H 97 etc), enthusiasts get their own board (X99 or C600 sharing the same 2011-3). You could also put mainstream "Core i" CPUs into C2xx-based boards, but tbh, neither makes much sense to me. 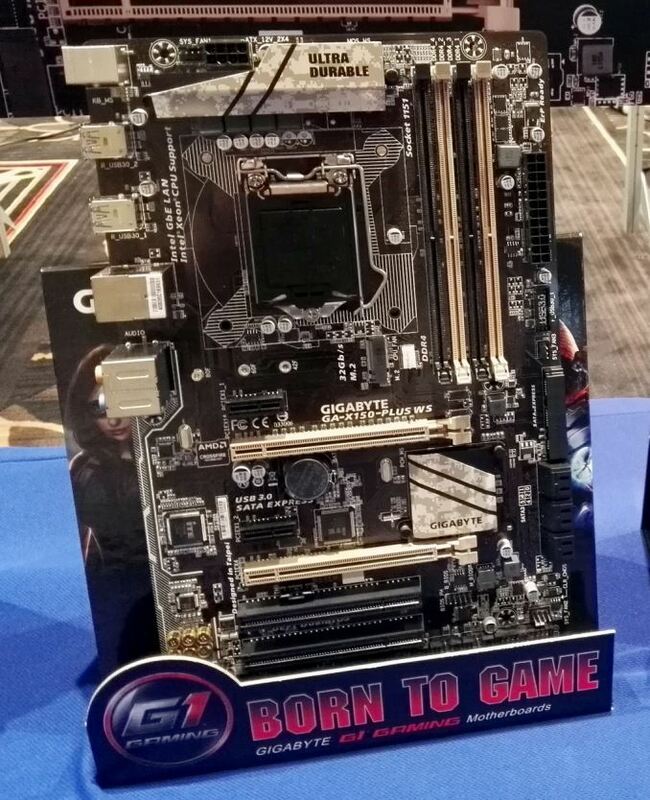 The C2xx boards give you ECC, but only with Xeon E3s, while the Z-series mainstream boards give you the choice to overclock, but only with K-series CPUs and definitely not with Xeon E3s. 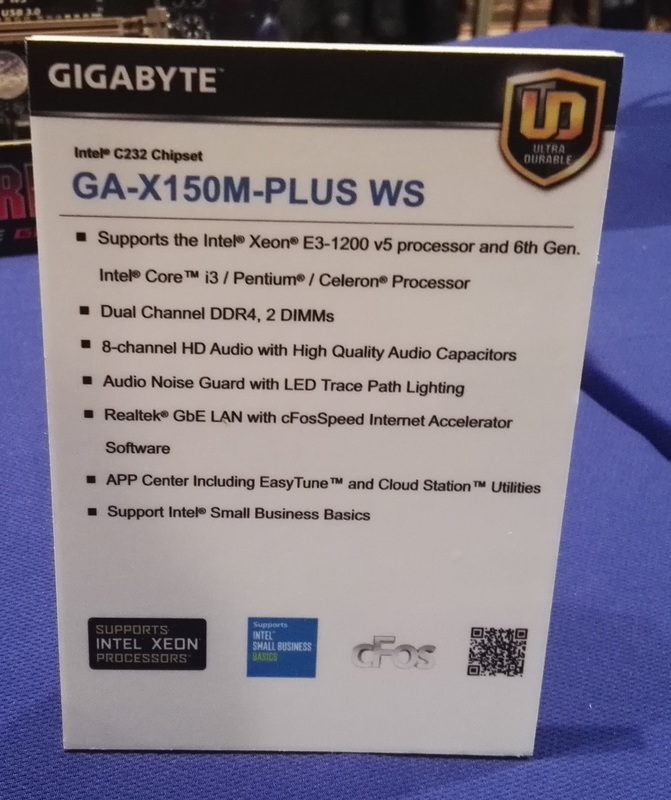 Why would you want to run a Xeon on a consumer motherboard? The only reason to get a Xeon is multiprocessor and ECC support, otherwise you get better performance in gamer-oriented parts. I use Xeons myself on my cylinder Mac Pro (E5-1650v2 x 2) for the former and on my HP Z230 home server (E3-1270v3) for the latter.